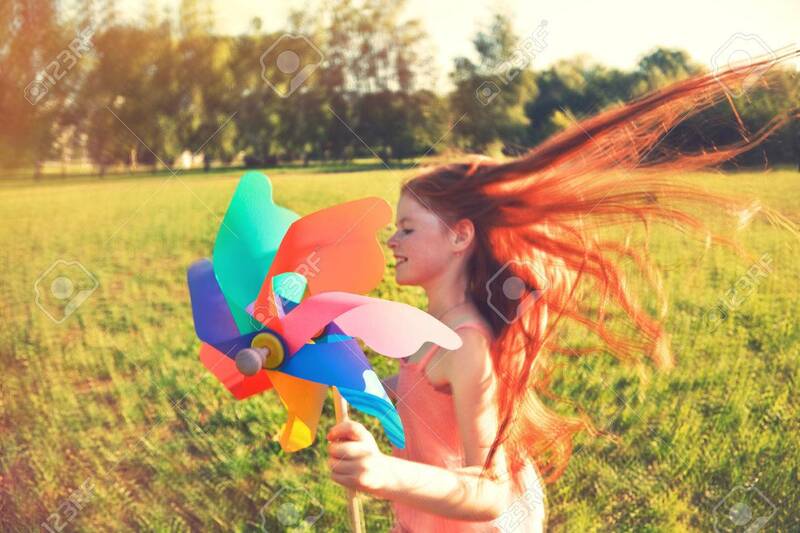 Happy Redhead Girl With Pinwheel Toy In Motion Blur. Freedom,.. Stock Photo, Picture And Royalty Free Image. Image 61534242.